Crowdsourcing content is a great way to spread awareness, engage your nonprofit community, and curate content for your own website or social media accounts all at the same time. It demonstrates value for your supporters’ individual personalities and support and makes inclusivity more palpable to your community. It also infuses your organization’s feeds with awesome content. Whether it’s for a specific campaign or year-round initiative, expand your call for content to your supporters. Call on supporters to express why they’re drawn to your cause, whether it’s for a specific campaign, a year-round initiative, recurring support or just ‘cause. Here are a few ways you can draw on user-generated content, as well as examples for each practice. You’ve seen them before – photos of supporters holding up signs to spread awareness. It’s a classic way to effectively engage a nonprofit community by amplifying supporters’ personal connection to your cause. It also helps them share a connection with each other and feel like they’re part of a greater movement. Pose a question to your supporters, ask them to write out their response, take a picture and share on social media. Make sure to create a campaign hashtag so it’s easy to discover the message and create a stream linked to your organization. For their Fears Vs. Dreams campaign, To Write Love On Her Arms asks supporters to share their greatest fears and dreams. To bring cohesiveness to the entries, TWLOHA provides a downloadable, branded PDF that supporters can print and use to write out their responses. Supporters then post a photo of their answers on social media using the hashtag #FearsVsDreams. One of the coolest things about this campaign is its microsite. The content of the homepage is completely supporter-generated; the main header displays supporters with their fears and dreams postcards. Below, a tiled Instagram feed of the campaign is displayed. Creating a unique microsites can be awesome addition to a campaign’s branding, especially because you can display the movement’s momentum with targeted messaging. It’s a great way to display your supporters’ Tweets, Instagram feeds, photos and messages of support. As TWLOHA demonstrates, it doesn’t have to be expensive or complicated either (this site is made on Tumblr). With its combination of images, sound, and music, a nonprofit video is a powerful storytelling device that inspires. And when it comes to touching viewers, personal experiences are the most powerful stories of all. Use testimonials from your supporters, volunteers, or beneficiaries as the basis of your next video. Because they put faces to your cause, these individual stories make your organization’s mission explicit and tangible. And, most importantly, they authenticate your impact through firsthand experiences. Take this great example from the Movember Foundation. By showing how one Mo Bro’s experience with prostate cancer was impacted by Movember, the organization raises awareness for the cause, makes their influence tangible, and inspires viewers to take action. A huge part of engaging supporters on social media is offering quality content – photos, videos, or infographics. But sometimes, the best content comes from supporters themselves. Kick your online engagement up a notch by launching a social media campaign that asks your community to craft and share their own videos or photos (depending on the social network). 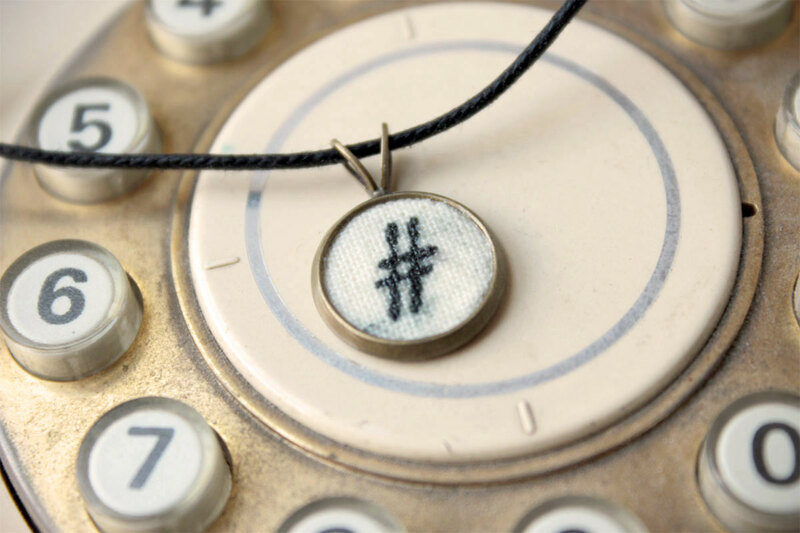 Tie it all back to your nonprofit by having supporters include your campaign hashtag. Unlike the “Write It Out” campaign, you’re leaving the task more open-ended and asking your supporters to get ultra-creative with their campaign participation. For example, to raise awareness for the fight against AIDS, (RED) partnered up with Mashable to set a record for the most number of Vines created for a cause. The 24-hour worldwide campaign simply asked participants to include the color red or spread the message, and tag their video with the campaign’s hashtag #REDWorldRecord. Many of the submissions were featured on Mashable’s homepage and the NASDAQ Tower in Times Square. Viners around the world answered the call, and they collectively set a new world record for the most number of Vines created for a cause! Keep in mind that your social media campaign doesn’t have to last for just a day, or even a week. You can crowdsource content all year round. Habitat for Humanity runs a continual #PhotooftheWeek campaign on Instagram, which features one supporter’s photo every week on the organization’s account. For a chance to be featured, supporters share their own images by tagging the organization and using the hashtag #HabitatforHumanity. This is a great way to continuously generate content for your own photo roll while engaging supporters on social media – even when you’re not running a targeted campaign or event. A great example comes from the Brooklyn Museum. For its “Click! A Crowd-Curated Exhibition,” the museum invited people to submit photographs related to the exhibition’s theme. The online public then evaluated the entries, which were showcased by ranking at the final exhibition. Nearly 3,400 people participated to evaluate 389 photo entries! Keep things simple – Break down your directions into smaller, clear tasks. You want to make sure supporters know what to do, and how to do it. Communicate clearly – Make it easy for supporters to spread the word about your campaign. Keep your messaging as short and simple as possible, and ask them to share content to their networks. Interact with supporters – Stay personable with supporters during the process, and you’ll improve engagement rates. Thank-you’s, encouraging comments, and shares go a long way in motivating supporters. Remind them that their creative efforts are supporting your mission. Reward participation – Consider offering incentives for participants. Will submissions be featured on your organization’s homepage? On your social media account? Spotlighting top entries can really push participation and shares. Crowdsourcing content is an excellent way to engage your community and fuel your organization’s feeds. If you haven’t tried it yet, we hope these tips have sparked an idea or two for your next campaign!